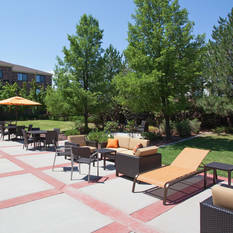 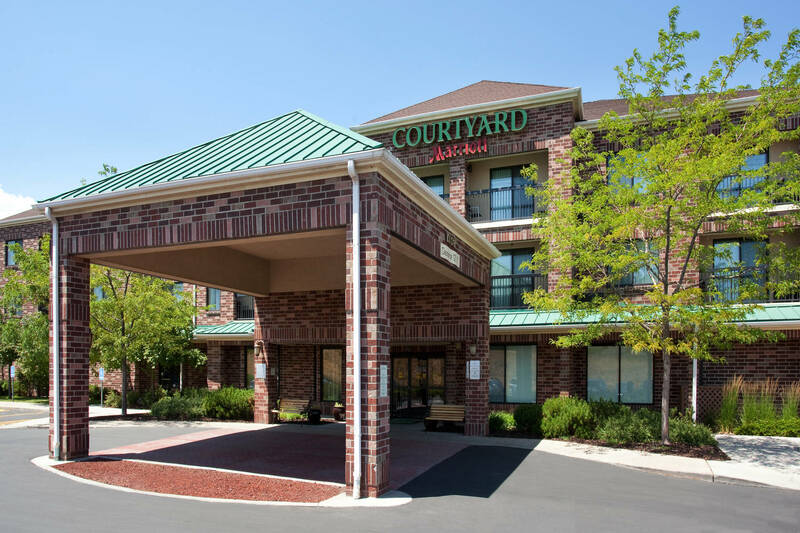 The Courtyard Salt Lake City Airport is located along I-80 just one exit west of the SLC terminal and provides a free 24-hour shuttle. 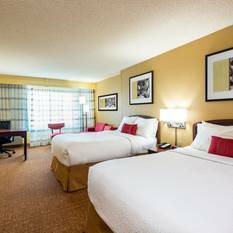 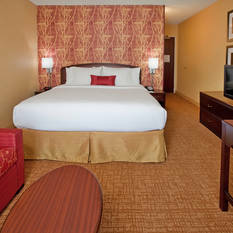 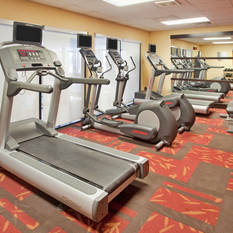 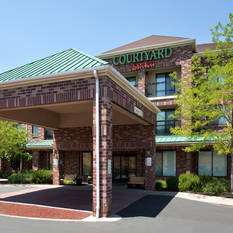 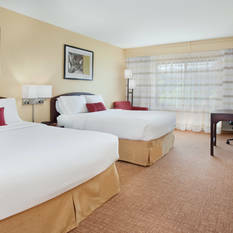 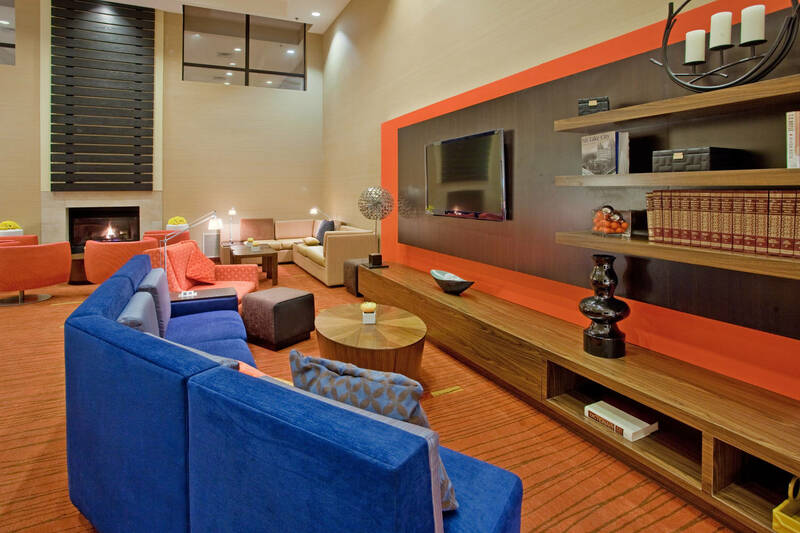 With stylish guest rooms with free WiFi, 1,040 sq. 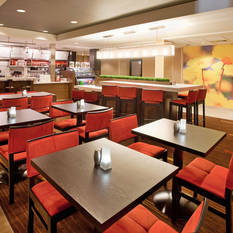 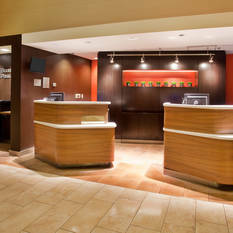 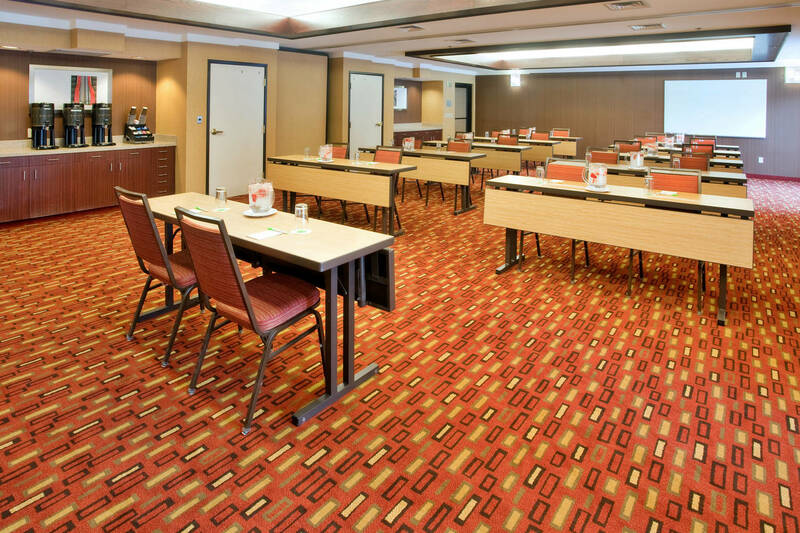 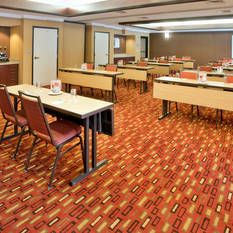 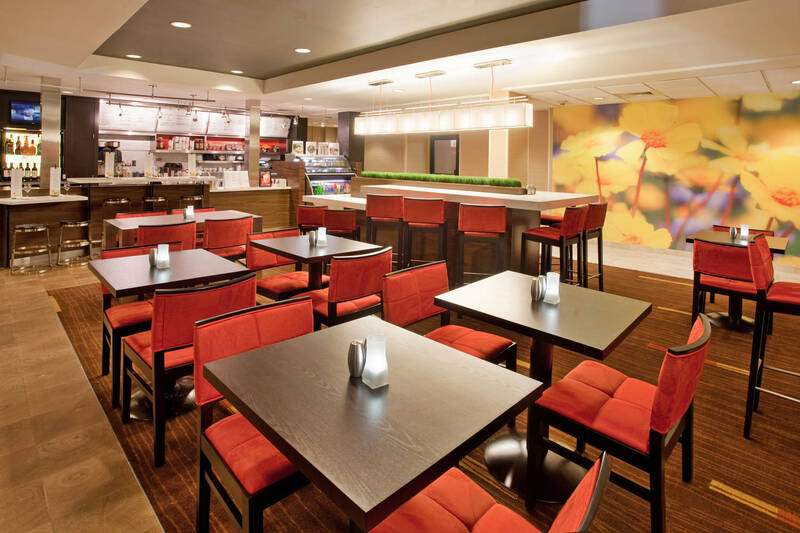 ft. of meeting space and onsite Bistro bar, business trips are a breeze at our SLC hotel. 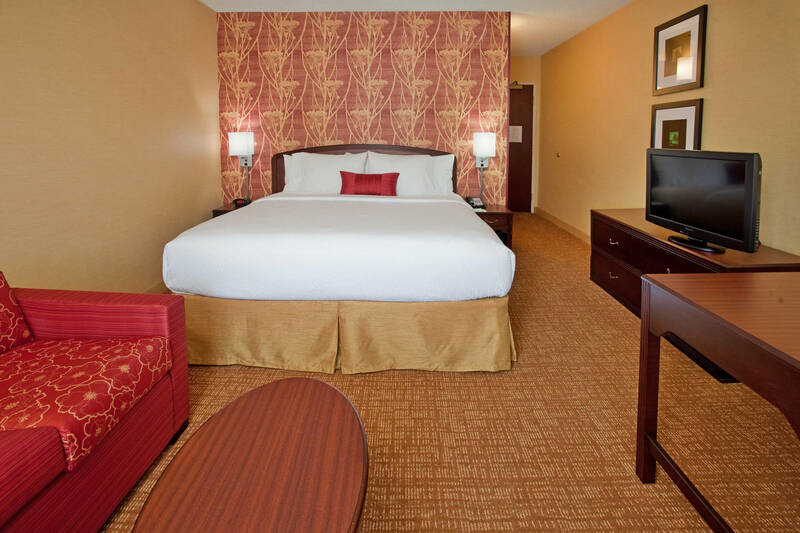 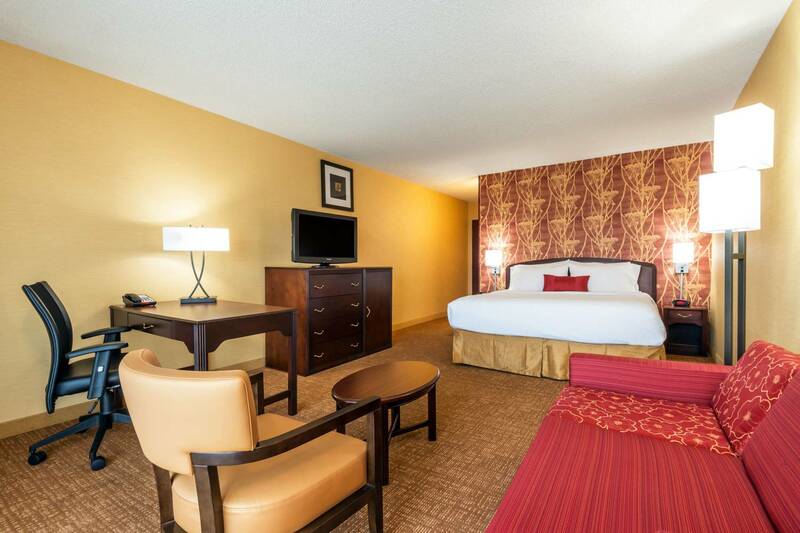 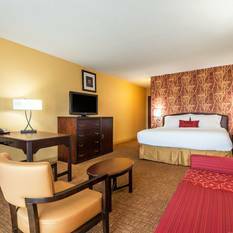 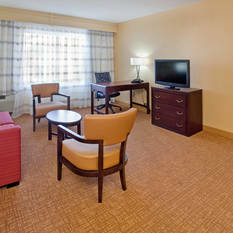 Each of our modern rooms features a flat-screen TV, ergonomic work area and free WiFi. 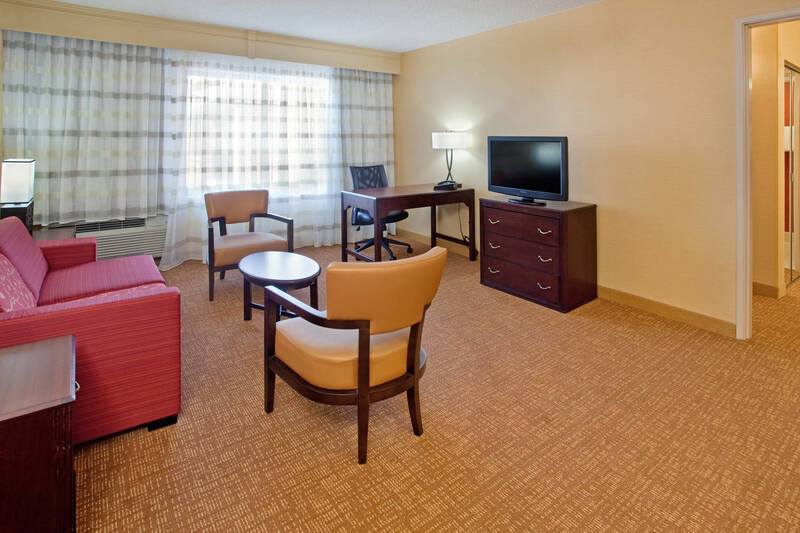 Select rooms even have private balconies. 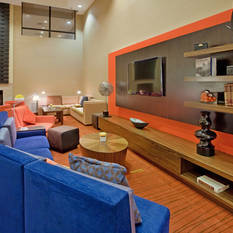 Guests enjoy amenities like our refreshing lobby with fireplace and media pods, perfect for mingling or getting work done. 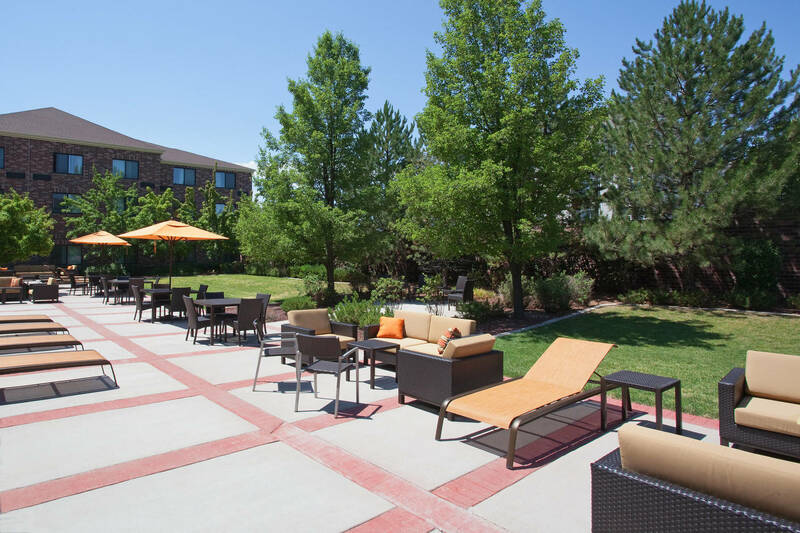 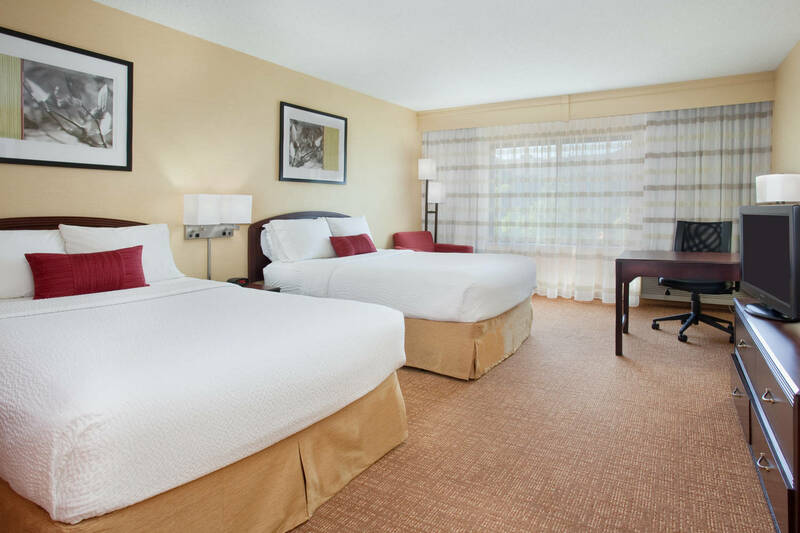 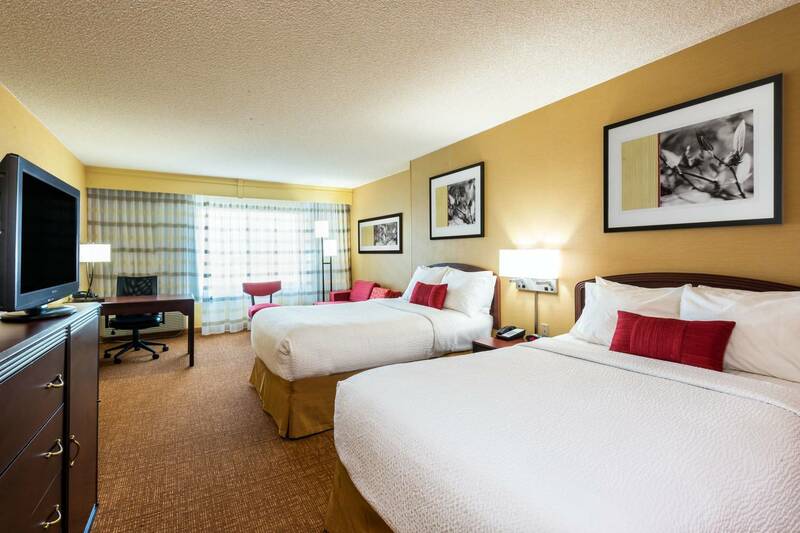 Travel is easy, thanks to our location near Salt Palace Convention Center, historic Temple Square, downtown and other attractions including Miller Motorsports Park and Rocky Mountain Raceway. 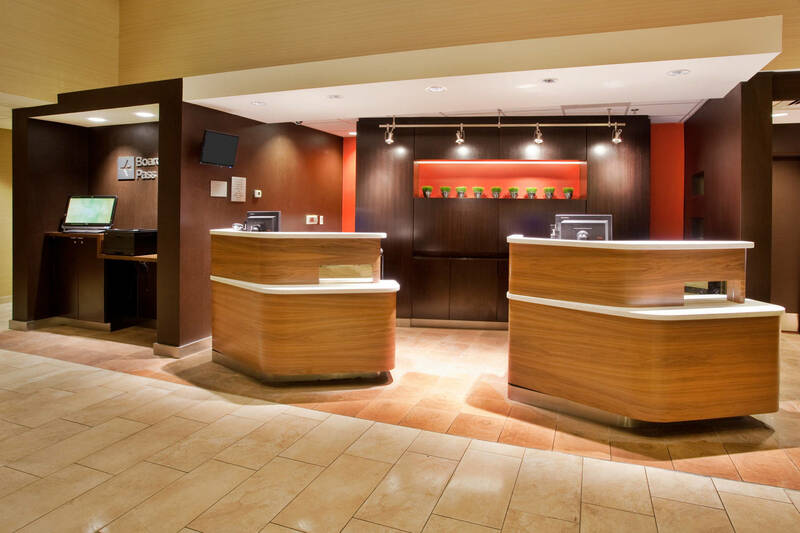 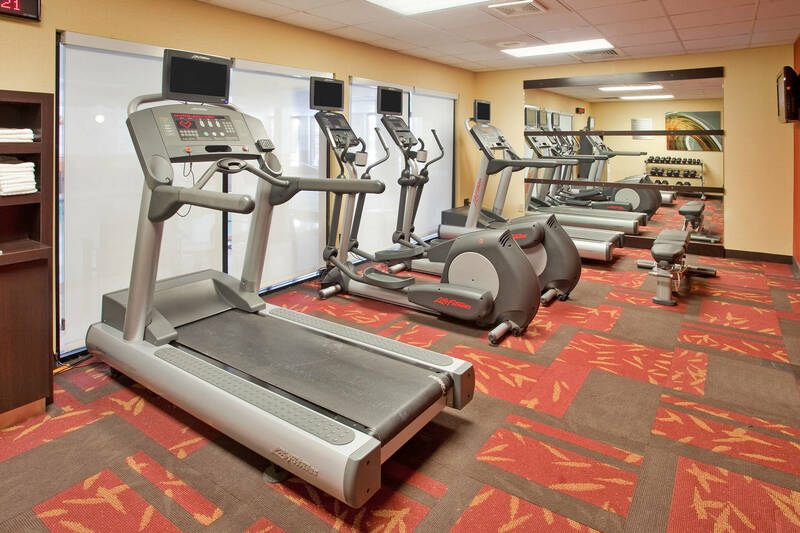 As at TripAdvisor award winner for our friendly service and convenient perks, we’re top-rated among Salt Lake City Airport hotels.